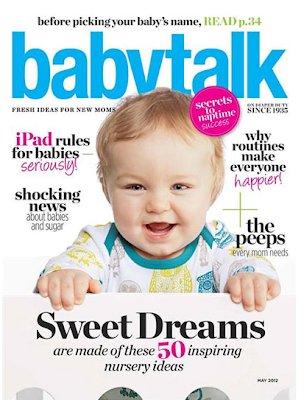 I'm excited to share with you that one of my nursery designs has officially been published in the May 2012 issue of Babytalk Magazine. If you don't subscribe to it check it out at your local Dr.'s office. That is so exciting! Love the rug and the extra pop on the ceiling. What a fun room!